(1) 18" One topping pizza and and 10 Wings . (1) 18'' Cheese Pizza with an order of our famous Garlic Knots. 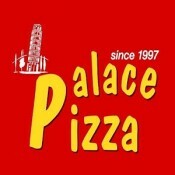 (1) 18" Cheese Pizza and 20 Wings (mild, hot or BBQ) with your choice of wing dipping sauce.